New Planet Beer is looking forward to attending the Rocky Mountain Brewfest, located in beautiful Estes Park. 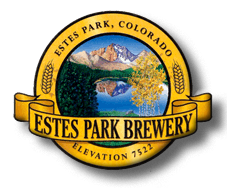 Join us at Estes Park Brewery for an afternoon of food, live music, and tastings from several of Colorado’s local breweries. The Summer Brew Fest at Mile High Station, Denver, will celebrate craft beverages from around Colorado and other U.S. microbrews and feature; live local music, food, and other vendors. This event benefits Swallow Hill Music Association. 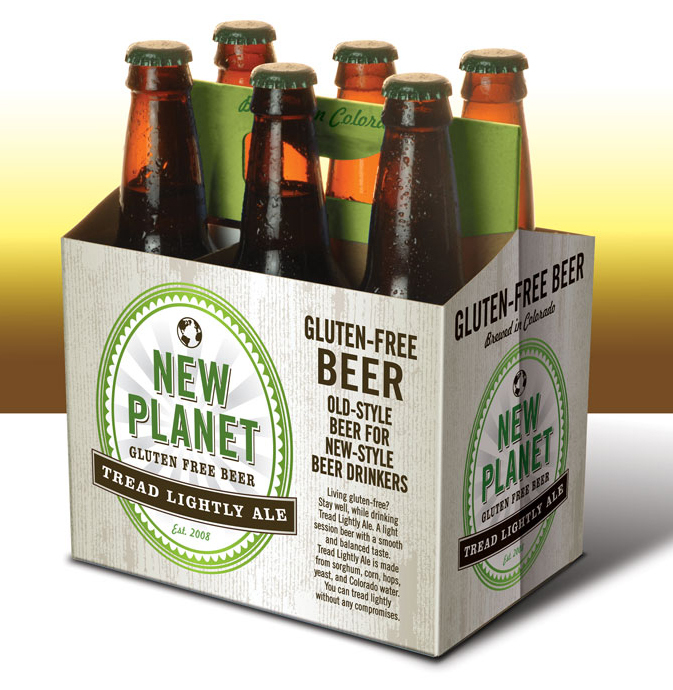 New Planet Beer will be at the Festival providing samples of our gluten-free beer – Tread Lightly Ale. Come by and visit with us, tell us what you think of Tread Lightly Ale and score some free swag, like keychains and T-shirts. 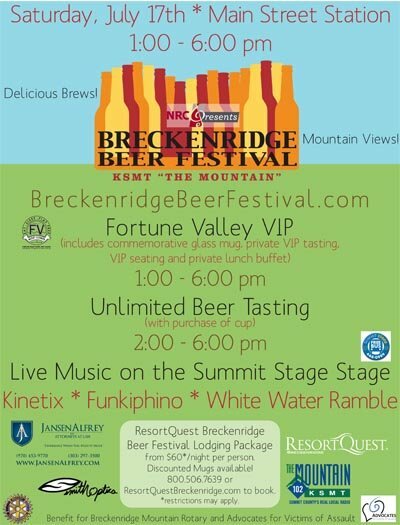 Breckenridge Beer Festival presented by KSMT, “The Mountain” is celebrating Brews and Views with 25 breweries, live music and great memories on July 17th. New Planet Beer will be at the Festival providing samples of our gluten-free beer – Tread Lightly Ale. Come by and visit with us, tell us what you think of Tread Lightly Ale and score some free swag like keychains and shop for Tread Lightly Ale T-shirts. The Colorado Brewers’ Festival will feature all Colorado beers, delicious food, Colorado music and fun. This year’s festival, the 21st Annual Colorado Brewers’ Festival in Downtown Fort Collins will take place June 26 & 27, 2010. Over 50 Colorado beers and 400 kegs will be enjoyed along with great live music Saturday and Sunday in Historic Downtown! New Planet Beer will be at the Festival providing samples of our gluten-free beer – Tread Lightly Ale. Come by and visit with us, tell us what you think of Tread Lightly Ale and score some free bottle openers. New Planet Beer is showcasing Tread Lightly Ale during the American Beer Craft Week on Saturday May 22nd. Stop by the Tamarac Whole Foods in Denver at 7400 East Hampden Avenue from 2-5pm, get a taste of Tread Lightly Ale, meet the faces behind New Planet Beer and pick up some trinkets to help spread the word to your friends. Stay tuned for more New Planet Beer events. If you are interested in having New Planet Beer participate in your event, contact us and let us know about it.